Busy Summer? Slow Things Down With Legs Up The Wall. Summer sure has been busy, time flies when you are having fun. Vacations, pool, having kids over to keep your kids busy, sports, camps and being out of the school year routine can be hectic. 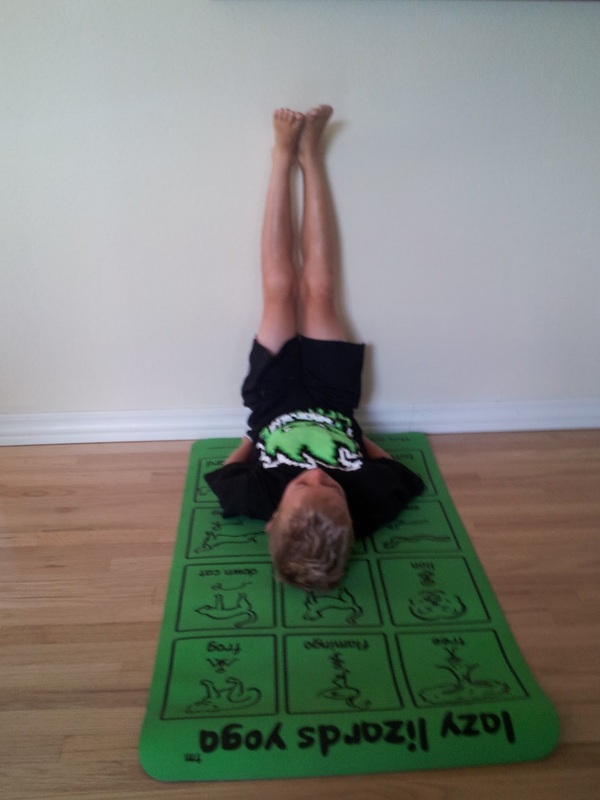 Take time for yourself and your kids and try legs up the wall pose. 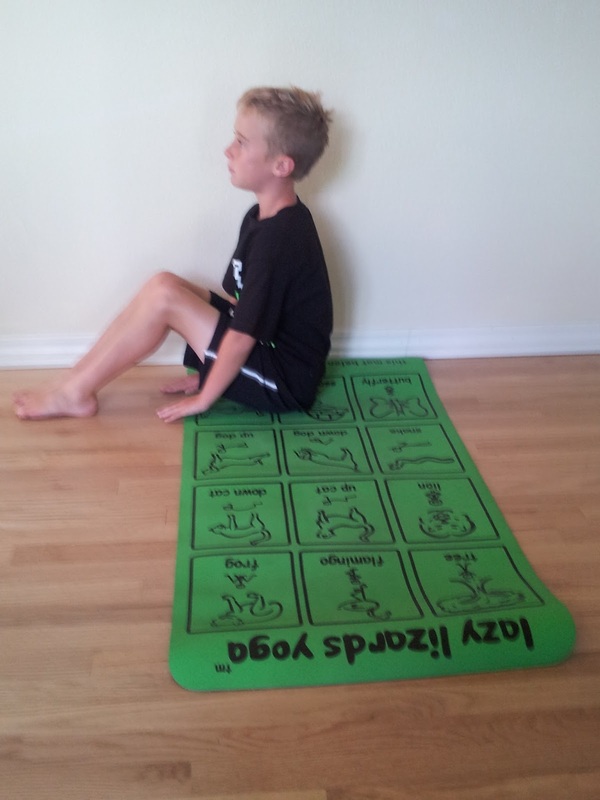 A great yoga pose and”time out” for all ages. Pick a space where there is wall space and no outside distractions, turn the music, TV and computer off. 1. Sit up against the wall with one shoulder and your hip on the wall. 2.Next lay down, next to the wall. 3. Turn around and put legs up the wall. Make sure your bottom is touching the wall and your back is touching the floor. If not use a neatly folded up blanket under your back, you can also use the blanket under your head, to ease tension in your neck. Stay for a few breaths, or 5 to 20 minutes. If you are wondering, how will my child stay still for this, here’s a few tips. With younger kids, practice counting, ABC’s, or reading a book while you and your child’s legs are up the wall. 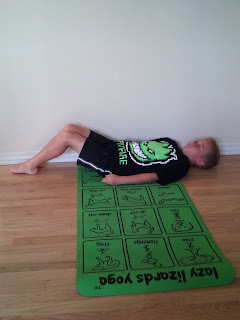 I did this with my son when he was 2 1/2 years old, and it helped him go to sleep easier and longer. With older children, have them count their breath, do the pose along with them and ask them to stay for 6 breaths, when that becomes not long enough, stay for longer. You can also play soft music to encourage relaxation, encourage them to close their eyes, maybe use an eye pillow. Legs up the wall pose has numerous benefits, helps your sleep cycle, refreshes tired legs and feet that you have been on all day, helps circulation and digestion, and also helps relieve lower back pain. Try legs up the wall pose with your kids before bedtime, after they go to bed, give yourself a treat and try it on your own. You may just notice your entire family will sleep better, rested kids and parents are happy people!